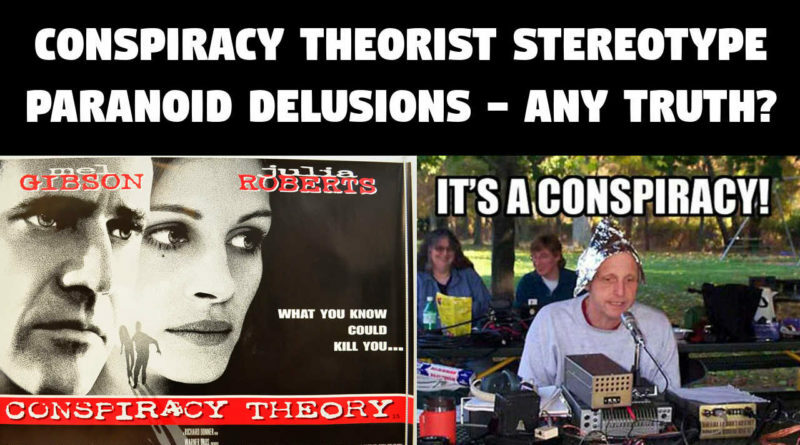 ‘Conspiracy Theorist’ Stereotype – Paranoid Delusions – Any Truth? after viewing this and then following up with the CalcifiedLies video you link to above, i wondered how he would respond to you – perhaps i even held out some iota of hope that his shedding of paranoia would encompass his prior judgements of yourself and other ACT scenesters. but i just finished listening to this, and wow – rather astounding to find CL doubling down on his “paid shill” identifications/projections. and apparently so, based primarily (so far’s i could gather) upon his “analysis” of such things as punctuation and spelling, e.g., British English-isms v. American English-isms. after entertaining such “evidence”, CL appeals to “fakes” such as JLB to stop linking/associating CL’s work with theirs. Jeez, that CL guy is like a parentheses nazi. He says you can use double parentheses OR single parentheses, but not both, using both is nonsense and proof of…shillery. i love it, it has to be a joke. I use a mixture of both double and single quotes, and im very inconsistent with it. And what about quotes within quotes? I always feel like one should alternate between single and double when quotes are within quotes. Furthermore, I have spent so much time exchanging comments with Australians that I have noticed myself occasionally ‘mispelling’ words like “colour”. I usually correct my spelling to the american version. I used to watch british tv on pbs when I was a kid, maybe a part of me wants to play like I am British or australian. And maybe some brits and aussies have a little part of their brain that wants to be American? Did I hear CL say that he thinks “shills” are linking to his webpage because “they know” it will trigger him? Is that what he said? ” [words] ” means direct quote. ‘ [words] ‘ means paraphrasing and/or mockery and/or distinction from the rest of the sentence (although I may sometimes use ‘ ‘ for direct quotes if they are short i.e. one or two words). Basically, ” is reserved for direct quotes, ‘ is for everything else. I used to think this was standard, but I don’t know anymore. Regarding spelling, I almost always use the British spelling, although may occasionally slip into American spelling if I am too lazy to check how a word is spelled. For example, ‘neighborhood’. In British spelling we spell ‘neighbour’ with a ‘u’, but if I am too lazy to look up how we are supposed to spell neighbourhood, I might drop the ‘u’, because sometimes in British spelling it seems like the superfluous letter(s) are dropped in longer/derivative versions of words. Although that is just how it seems/feels when I am typing. Bear in mind too that I type on a computer and post on websites which use American spellcheck, so I am constantly being told (via little red squiggly lines) that my spelling is wrong. And because I am typing so many words on a typical day (research and/or articles and/or comments and/or emails) it gets tiring going back and spell-checking for myself, but I cannot rely on the red squiggly line system, because it invariably throws false positives at me as a matter of course. Overall, though, I am rather proud of my English skillz, which are slowly but surely proving able to pay the billz. My high school English teacher would be proud of me. Next time I am in Melbourne I will pop in to the old high school to see if he is still there. Among other things, he taught me the power of occasional short (even single-word) sentences. If you read enough of my work you will see that I still employ this writing trick from time to time. It works. interesting thing to me about what y’all are saying, is that the confluence of ‘progress’ in media and technology means that whatever ‘tells’ CL claims to be identifying shills with shall only continue to fade into the oblivion of an increasingly shared, global collective culture. the media/technology driven discourse is shaping up to be more or less the same mongrel melange of grammar no matter where one finds him/her-self, such that CL’s tool of discernment is far from futureproof (if not already obsolete). That is literally his argument. That is literally what he is saying. This little episode (CL video -> JLB video -> CL video) should be instructive for those who are relatively new to the media fakery scene. This is what I have been observing and dealing with for four years now. This is how they are. The majority of them are this paranoid and delusional and self-destructive, it is just that people like CL are more open about it (i.e. CL documents his thoughts in video format for all to see/hear). And I can’t stress this enough: CL is one of the more intelligent and insightful of the media fakery crowd. In fact he is at least one standard deviation above the mean, probably two SD above the mean, in terms of applied intelligence among the ACT realm. That is how pervasive and pernicious the ‘paid shills’ meme has been. Apart from myself, I don’t even know of any other content creators in the scene who openly challenge and mock the ‘paid shills’ meme. Since 2015 I have kinda been like the one dude in the church questioning the existence of the devil. The difference is that these fools can’t kick me out of the church, and slowly but surely their own congregation is starting to wake up to the ruse. If CL were to ever open his mind to the possibility that maybe he had been fooled (and indeed engaged in self-deception), I for one would be more than happy to ‘put this behind us’ and if possible even meet up in person. For his Skeleton Key piece alone I would like to thank him by taking him out to dinner, all expenses paid. I don’t take any of this stuff personally anymore because I see it for what it is: well-meaning but naive people who are trapped in their own negative thinking patterns, reinforced by fellow fools who got sucked into something more pernicious than they could have ever bargained for. 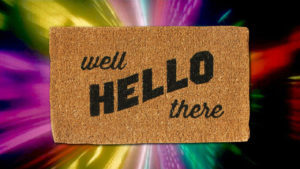 Its interesting to think that “WE” the subscribers to JLB could possibly be considered the “THEY” that are paying JLB to “Shill” to what end I have no idea but as far as I am aware other than his normie (normy. Never quite sure how to spell this term.) job “WE” the subscribers are the only funding source he has. Oh and if JLB was a “SHILL” for the Australian Government he would be bound by the Australian Styles Manual in all of his public writings .. Mmm not overly sure he is following there protocol… so that seems unlikely unless they have changed these conventions recently. So as “HE” (CL) is posting his videos on you tube and one can only assume it is monetised would this infer that “HE” (CL) is actually a paid shill also? Also I ponder who are CL’s shareholders or the beneficiaries of his labour? After all JLB has none that are obvious other than the Australian Government via its taxation system. OMG is JLB actually a paid shill for the ATO… Mmm with his planned travel is he about to skip town? Sheesh you could almost start a you tube channel targeting people and calling them “SHILLS” for monetary gain yourself making you a shill for the shill at the shills own expense.. Follow the money CL its the “THEY” every time and while your focused on all this JLB will be enjoying sunsets while you “SLAVE” away to publicizing your imaginary shills.